The Eagle P3 is a $2.2 billion capital project with Denver Transit Partners. 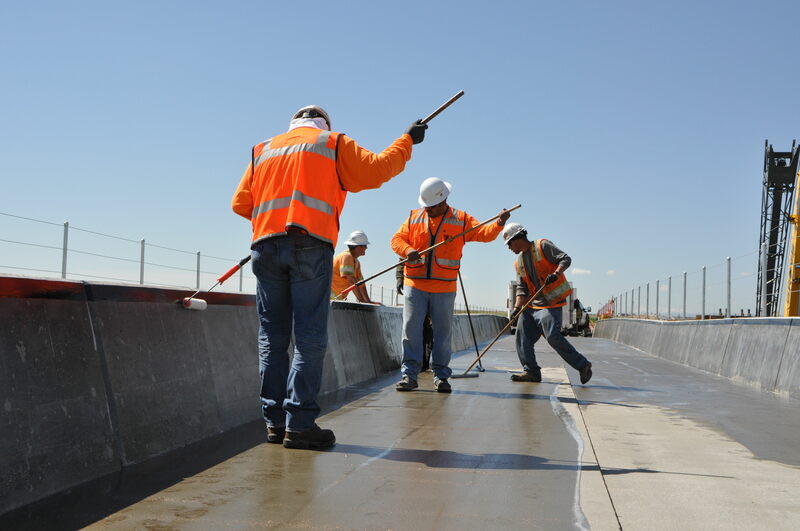 The Denver Regional Transportation District utilizes innovative bridge deck spray applied waterproofing membrane and expansion joint materials and a time saving installation process for the Eagle P3 Project. DENVER, COLORADO – Eagle P3 is a public-private partnership comprised of three (3) Rail Lines and a Commuter Rail Maintenance Facility owned and operated by the Denver Regional Transportation District (RTD) and uses spray applied waterproofing membranes to protect their bridges. In 2004, the RTD began using cold spray applied waterproofing membranes to protect their bridges because of the superior performance characteristics that these systems provide. In 2004 Bridge Preservation LLC. and NPW Contracting installed Bridge Preservation™ Bridge Deck Membrane (BDM) on a number of bridges as part of the Transportation Expansion Project (T-REX) project. 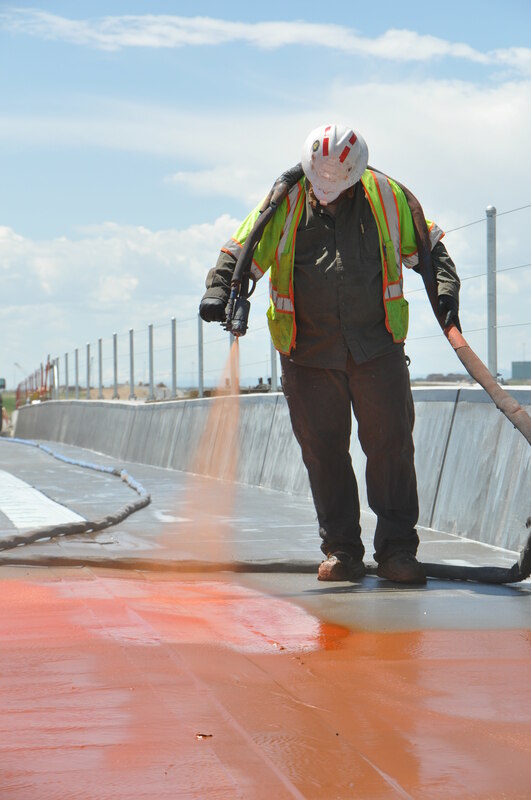 Based on the success of these installations, the RTD has continued their use of spray applied waterproofing on all of the new bridges being constructed as part of the Eagle P3 project. Scheduled for completion in 2016, the Eagle P3 is a $2.2 billion capital project comprised of federal funds, RTD sales tax bonds, and private equity from the concessionaire team, Denver Transit Partners (DTP). Eagle P3 received a Full Funding Grant Agreement (FFGA) from the Federal Transit Administration on Aug. 31, 2011. 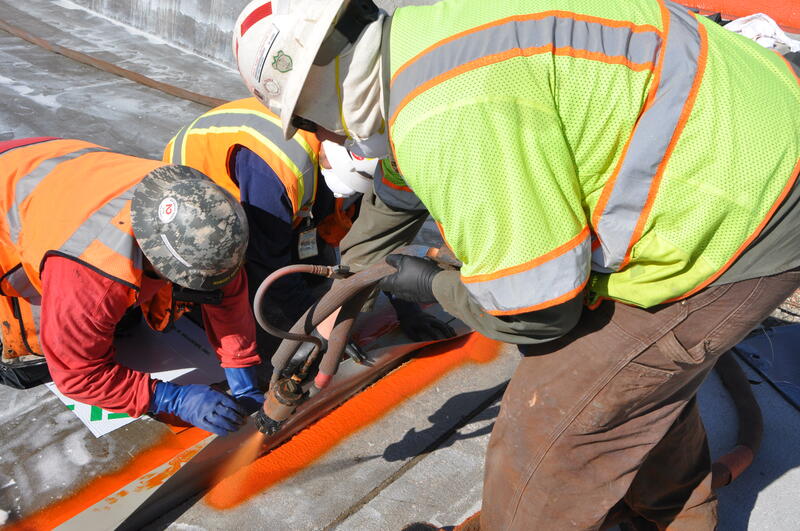 The contract for the waterproofing on this project was awarded to NPW Contracting in 2012, and NPW will install approximately 45,000 square feet of Bridge Preservation™ BDM spray applied waterproofing and over 250 Linear Feet of Articulus™ Expansion Joints. To date, roughly 20,000 square feet has been installed on the 56th Avenue, 1st Creek Road, and Tower Street bridges. Bridge Preservation™ BDM is a specially formulated, cold spray applied elastomer waterproofing system. 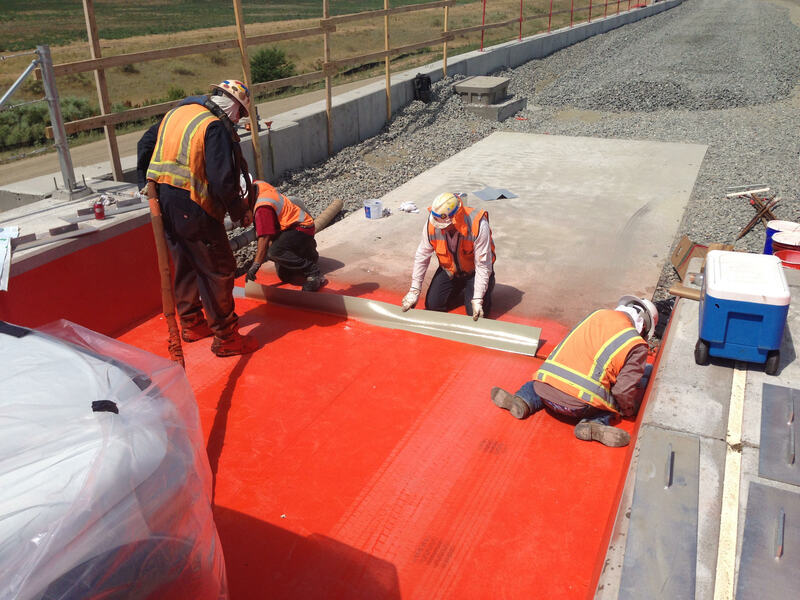 Engineered for the demands of the rail and highway bridge markets, BDM™ cures rapidly to form a durable, seamless, and permanent deck waterproofing system that can be open to service in as little as one hour. The Articulus™ Expansion Joint System (Patent Pending) is a highly flexible expansion joint manufactured using the same coating chemistry as the Bridge Preservation™ waterproofing membrane. When used in conjunction with BDM, these expansion joints form a high strength chemical bond that provides a single, monolithic layer of waterproofing across both the joints and bridge deck. Bridge Preservation LLC. 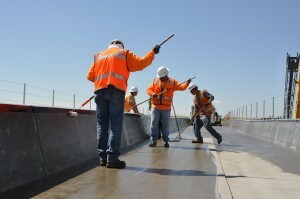 is recognized nationwide by engineering firms, railroads, and state agencies as the manufacturer of the premier waterproofing system for transportation infrastructure. Since 2000, Bridge Preservation™ products have been installed successfully in hundreds of rail and highway projects. Stringent manufacturing and field quality control procedures and guidelines, along with a rigorous approved applicator training program ensures the success of every installation. On May 15th and 16th, 2013 approximately 5,000 square feet of BDM and 30 linear feet of Articulus Expansion Joints were installed on the 56th Ave. bridge. On the morning of the 15th the northbound and southbound sides of the bridge were shot blasted and sand blasted to Bridge Preservation’s standards (SSPC-SP13/NACE No. 6). Once the surface preparation was complete and approved by the on site factory technician, Bridge Preservation™ Concrete Primer was applied. This water thin penetrating primer is used to maximize the bond between the deck and the waterproofing. The material was mixed by hand and applied using squeegees to the northbound side of the bridge. 2”-3” wide longitudinal joints were covered by galvanized steel sheets, followed by the installation of bond breaker tape over these sheets. The purpose of the steel sheets and bond breaker tape is to disperse the strain that any joint movement might exert on the membrane over a larger area. By late morning, Articulus™ Expansion Joints were installed on either end of the bridge using Bridge Preservation™ Joint Adhesive. Protection plates with centering tabs were placed over the joints, followed by a layer of bond breaker tape. Waterproofing membrane is then applied over the tape, providing a belt and suspenders waterproofing system at the joint, as well as providing additional protection for the steel plates. NPW was able to install 170 linear feet of expansion joints in only one hour. BDM was then installed on the northbound side of the bridge and primer was installed on the southbound side. By late afternoon the northbound side was completely waterproofed and the southbound side was primed and ready for the waterproofing the following day. On May 16th workers installed the steel sheets, bond breaker tape, Articuls™ Expansion Joints, and BDM™ waterproofing membrane. By late morning the wind speed had increased to 10-15 MPH, which required NPW to deploy a windscreen to continue the application. The installation of the waterproofing system was complete by early afternoon and ready for ballast loading, which took place five days later. The waterproofing membrane for the 1st Creek Bridge was installed on May 29th and 30th, 2013. The 1st Creek Bridge was the largest of the bridges thus far, with just over 8,000 square feet installed. The bridge had a different design with no longitudinal joints, but the installation of the transverse joints and waterproofing membrane was exactly the same. The Tower Street Bridge had a nearly identical design as the 56th Ave. Bridge, and it received an identical treatment of the longitudinal and transverse expansion joints, as well as waterproofing installation. Bridge Preservation™ products are manufactured and certified under ISO 9001: 2008. This certification indicates Bridge Preservation’s commitment to consistently providing quality products in the marketplace. Bridge Preservation utilizes a systematic monitoring and evaluating process of raw materials to ensure that each batch of product meets the required guidelines established. In addition to this monitoring process, Bridge Preservation subjects every batch of material manufactured to Infrared (IR) spectroscopy scans to ensure consistent manufacturing from batch to batch. Quality assurance continues in the field with experienced field support from Bridge Preservation. As part of a complete on-site inspection, sprayed and cured samples of material are collected from every job site and returned to Bridge Preservation’s laboratory for further conformal testing. Bridge Preservation ensures the highest quality products, beginning with raw material formulation and ending with the final installed product. All critical aspects of the project are reviewed, inspected and recorded to insure that each application meets the standards established by Bridge Preservation LLC. and the owner. For more information about this story or Bridge Preservation™ products, please contact us at www.bridgepreservation.com, or (913) 912-3305.